...We are so excited about what God is doing there. We have an opportunity to come under two other couples in training local pastors, from the nearby villages, including the Lake Victoria Islands, on basic theology, marriage and family, and Framing God's Way among other topics. Most of them have basic education due to the lack of funds to further their studies. We will also be helping at Welcome Home Orphanage which is run by the same organization that we will be working under as well as helping with village outreaches to the several villages across Jinja. 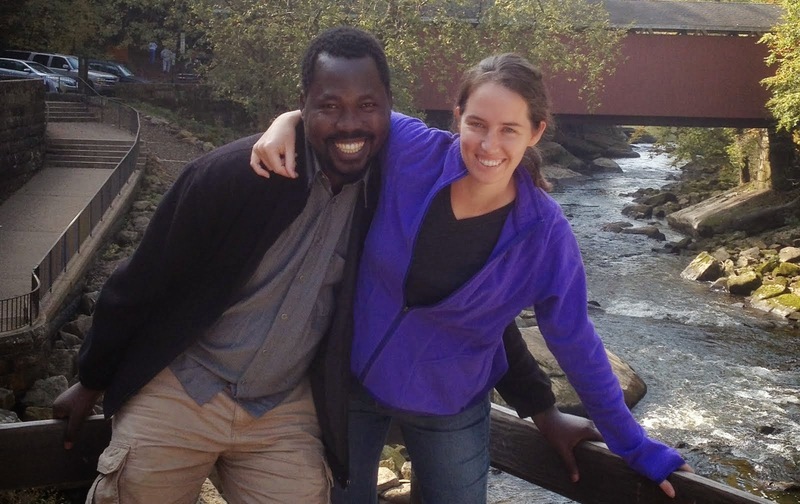 One of the couples we will work with is Josè and Sol Nuñes who I, Beckie, met through a friend when I first came to Uganda 4 years ago...and they are the very couple who married us just one year ago! They have become like parents to us. And we are excited to come alongside them. Our main focus will be teaching and learning how to run the Kingdom Life Training Center, which the school for village pastors. Ruudy has the gift of teaching and we are excited to see him grow even more into the man God has called him to be as he develops this gift. As a newly married couple, the opportunity to come under and grow with these two mature Godly couples is such an amazing blessing. With Ruudy growing up here in Soroti, he has so many connections in Soroti pulling at him and trying to fit into the organization that I (Beckie) was already working with was challenging. We see this opportunity for us to have a fresh start in a new place that is unfamiliar to both of us. We are still passionate about the ministry that we have started in Soroti, the Purity Clubs and the Child Sponsorship. We have the next three months to transition full time to Jinja and try to line up the right people to keep the work going in Soroti. We will stay involved in this ministry albeit from a distance. We love International Teams and have been blessed working with them. And we will miss our teammates in Soroti, but are thankful we are still nearby. They are only a 4 hour drive away. SO....As of May 31st I will no longer be working for International Teams. We will no longer be able to receive support through International Teams shortly after that date. Because Calvary Life Fellowship is a small church they are not set for electronic funds transfers but you can set up with online banking to have your bank send a check each month automatically to the address above. If writing a check you should just include our names on the envelop or a slip of paper not on the actual check. Thank you for your support over the past 4 years! We couldn't have done it without you, and we still need you, for, "The eye cannot say to the hand, “I have no need of you,” nor again the head to the feet, “I have no need of you.” 1 Cor 12:21. We are going to put together a short video soon that will better explain the work we will be involved with in Jinja. If you have any questions, comments, concerns, please email us. We would love to hear from you.